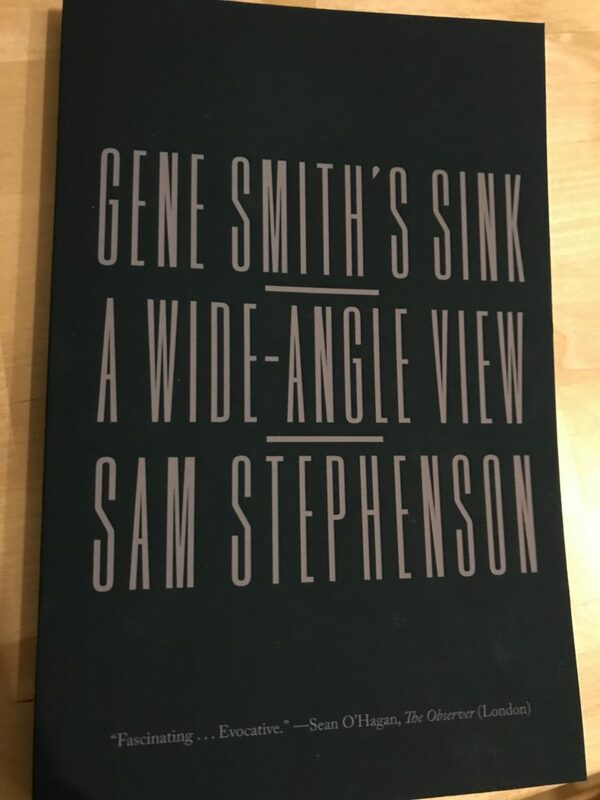 The paperback edition of Gene Smith’s Sink came out last week. The cover, I just learned today when I opened a box of them, is the one we (me, my editor, the designer) strongly preferred for the hardback, with no images. It’s a literary book, we argued, not a photography book. But the higher-ups overrode our preference, saying it wouldn’t sell without photographs on the cover: It’s about a photographer for chrissakes. Okay. So we put a couple of photographs on it and the rest is history. I think this new paperback edition means that if it’s not going to be an airport book with the photographs on the cover, then they might as well try it the first way. Or maybe it was just cheaper this way. In any case, I dig this new version a lot. Nice work by my friends at Farrar, Straus and Giroux.